jeanetteljungars.com - I write to inspire and help. Help yourself develop as well as finding your passion and develop your business (if you have one). sometimes in life we make those small changes, and they are great because they can eventually decide where we end up (you know that even big ships just make small adjustments but it changes real big in which harbour they´ll end up.) In our own lives it can be to start walking 20minutes every day or decide not to eat sweets other than saturday or it can be to change your apple phone to a samsung (even though I haven´t yet figured out how that change improves our lives in the long run :D ). But as I´m not normal, I seem to make those crazy big changes every now and then in my life. So I can tell you the last few months have not been "normal" at all (I don´t like the word normal at all, but we can take that later). It started with that I just decided I didn´t want to be an entrepreneur anymore (at least not fulltime and right now.... somehow people have hard time believe that I will be employed). So what do I do? 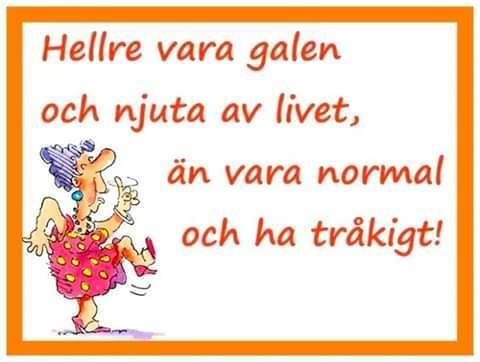 Not anything "norrmal" at least- I just quitted what I was doing. I closed my pub/restaurant, my b&b and my grill. I had no plan, no idea what I wanted to do. Everybody asked me -"what are you going to do now then?" (a quite normal question I guess) and my answer was the same all of the time "I don´t know what I´m going to become when I grow up". To my defense I have to say I´m usually very goaldriven and I used to have some kind of plan for what I´m doing, but this time I didn´t. Not whatsoever.... So I started looking at job vacancys. But that´s also a challenge since I didn´t really know what I wanted. So I sent out many cv:s to different places and after a while I started thinking "maybe I could move away from Finland". I mean I´m soon 50, so if I want to live somewhere else it´s a bit "now or never". So I sent out a few to Norway and to Sweden. Then I just stayed calm and thought whatever is meant to be will be. So quite soon I got a call from sweden, had an interview by skype, got to second interview and to make a long story short- I decided over night to move to Arvidsjaur in Sweden. In just two weeks I had packed my van and was on my way- to an appartment I´ve never seen (not even a picture) and to a new work as restaurant manager at hotel Laponia there. Everybody always think that I´m courageous and they seem to think that I have something that others lack (it could be the other way around of course- maybe I lack the brain that everybody else have). I don´t have anything special. I just do things even though I feel scared or nervous. I can tell you when I first came to Arvidsjaur, my first feeling (because it was weekend and I didn´t meet anybody) was sadness, emptiness and a big "what have I done????". you know it was also the first time in my life to live alone. I moved together with my first husband when I was 17 and since then I´ve been in relationships and I´ve always had my kids around. But now I was alone. So even though I always try to train my mind to focus on what I want and to be positive- this weekend was hard and it was many tears. But I can tell you it felt much better when I came to my work place and felt welcomed and I started enjoying also having time for other things. What happened next is also unbelievable and another real total change....maybe I tell you more about that later, but I can tell you I fell in love just the way they do in romantic movies. It was just "bang", and suddenly I´ve been living at another adresse than my appartment for 5 weeks now (I think I was almost 2 weeks in the appartment before this happened). So sometimes we plan change and make them consciously, and sometimes 2 really big changes just happens (even to a stubborn, strongminded, independent woman like me). Well, i realise life is short and right now I enjoy every minute of it. I miss my kids and grandkids and friends back in Finland, but of course but Finland is not far away. And I´m grateful for my new friends here also. I have a rich life. So focus on what you want and make the best of THIS day- you´ll never know what change life will bring you tomorrow.